Untitled Gallery was founded in Sheffield in 1979. It specialised in photography. In 1996 it was renamed Site Gallery and steadily expanded its remit to cover the intersection between science and art. Nearly 30 years and a £1.7million refit later, Site Gallery is the new poster child of Sheffield’s Cultural Industries Quarter, with an exhibition, Liquid Crystal Display, that cleverly salutes its photographic past. Most shows about art value the results over the ingredients. The picture matters more than the paint. The statue matters more than the stone. Exhibitions about photography give rather more space to process because photography’s ingredients are so involved and fascinating. Liquid Crystal Display follows this photographic logic to its end. This is a show about the beauty, weight and messiness of materials we notice only when they’ve stopped working. It’s about the beauty created by a broken smartphone screen, a corroded battery, a cracked lens. Site Gallery’s new exhibition – a cabinet of curiosities if ever there was one – collides science and art, the natural and the manufactured, the old and the new. 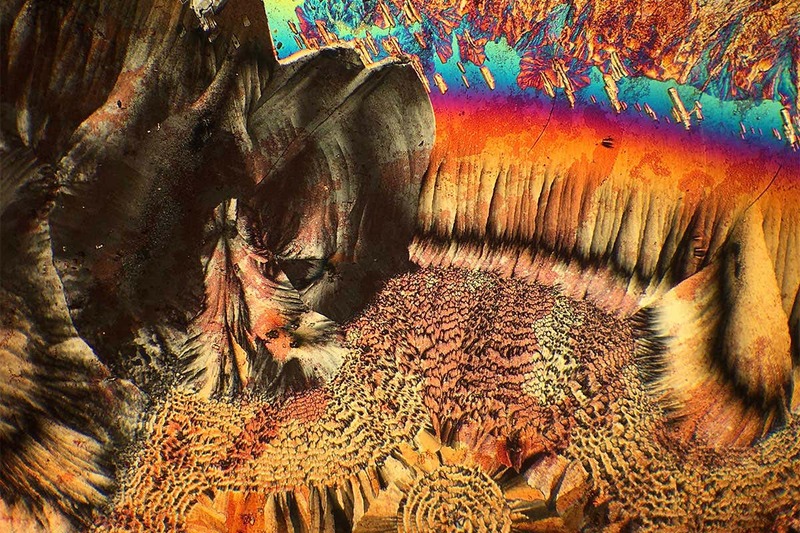 It puts the exquisite sketches of 19th-century Scottish chemist and photographer Mungo Ponton (detailing his observations of how crystals polarise light), next to their nearest contemporary equivalent: microscopic studies (pictured) of liquid crystals caught in the process of self-organisation by Waad AlBawardi, a Saudi molecular biologist who’s currently in Edinburgh, researching the structure of DNA organisation inside cells. This provocative pairing of the relatively simple and the manifestly complex is repeated several times. Near a selection of crystals from John Ruskin’s mineral collection sit the buckets, burners and batteries of Jonathan Kemp, Martin Howse and Ryan Jordan’s The Crystal World project, a tabletop installation recording their hot, smelly, borderline-hazardous effort to extract the original minerals from bits of scavenged computers. Curated by Laura Sillars, assisted by Site Gallery’s own Angelica Sule, Liquid Crystal Display reveals the material, mineral reality behind our oh-so-weightless holographic world of digital imagery. “Liquid crystals polarise light, produce colour and yet, as a material form, recede into the background of technology,” Sillars wrote in the catalogue to this show. This awareness is not new, of course. In the 1960s, liquid crystals were being burned on overhead projectors to create psychedelic light shows. J G Ballard’s novel The Crystal World (1966) concocted a paranoid vision of a world and a civilisation returned (literally) to its mineral roots. That story receives a handsome homage here from the scifi-obsessed Norwegian artist Anne Lislegaard, whose stark monochrome animation (above) turns the sharp shadows and silhouettes cast by contemporary domestic furniture into insidious crystalline growths. Arrayed within Anna Barham’s peculiar hexagonal cabinetwork, a gigantic piece of display furniture that is itself an artwork, the pictures, objects, films and devices in Liquid Crystal Display speak to pressing topical worries – resource depletion, environmental degradation, the creeping uncanny of digital experience – while at the same time evoking a peculiar nostalgia for our photochemical past. The exhibition lacks one large signature object against which visitors can take selfies. A peculiar omission in a show that’s relaunching a gallery. And a bit of a shame for an exhibition that, in its left-field way, has handsomely captured the philosophical essence of photography. 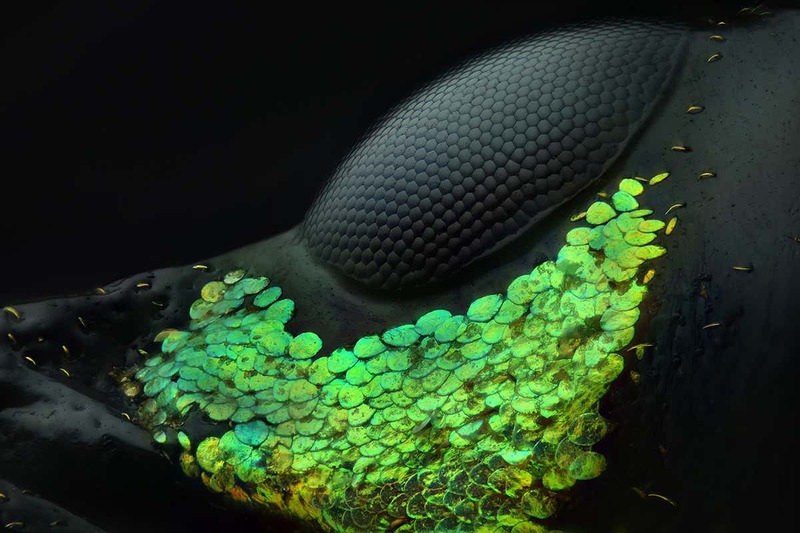 Microphotography has come along way since Nikon staged the first Nikon Small World competition in 1974. Finalists in 2018 harnessed a dizzying array of photographic techniques to achieve the spectacular results displayed here. A full-colour calendar of the winners is in the works, and people in the US can look forward to a national tour of the top images. 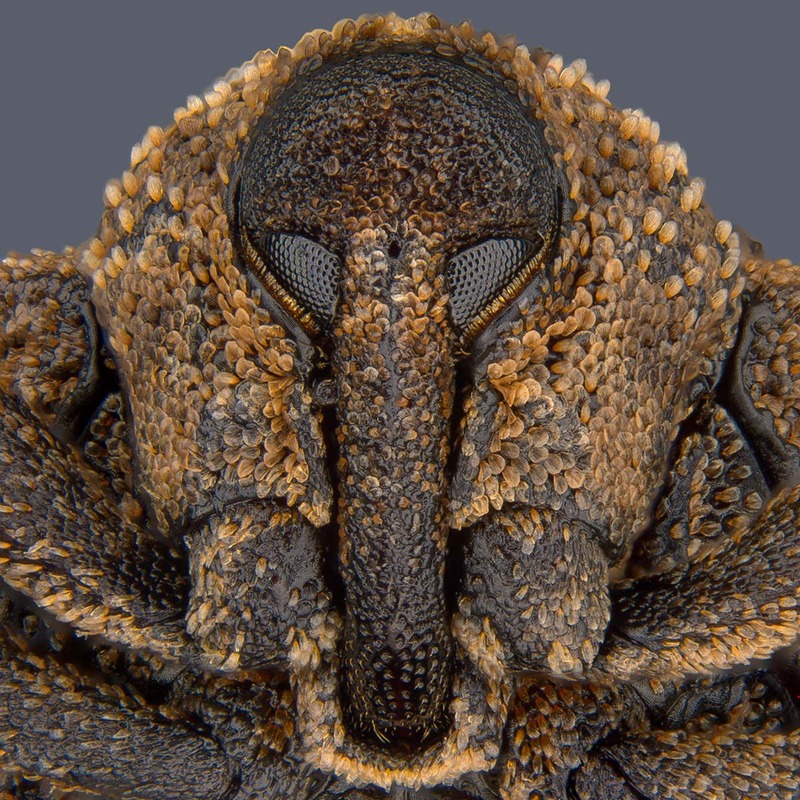 Yousef Al Habshi from the United Arab Emirates won first prize with the image above of the compound eyes and surrounding greenish scales of a weevil, Metapocyrtus subquadrulifer. It was made by stacking together 129 micrographs — photographs taken through a microscope. “I feel like I’m photographing a collection of jewelry,” said Al Habshi of his work with these beautiful Philippine beetles, which are more usually considered agricultural nuisances and targets for pest control. 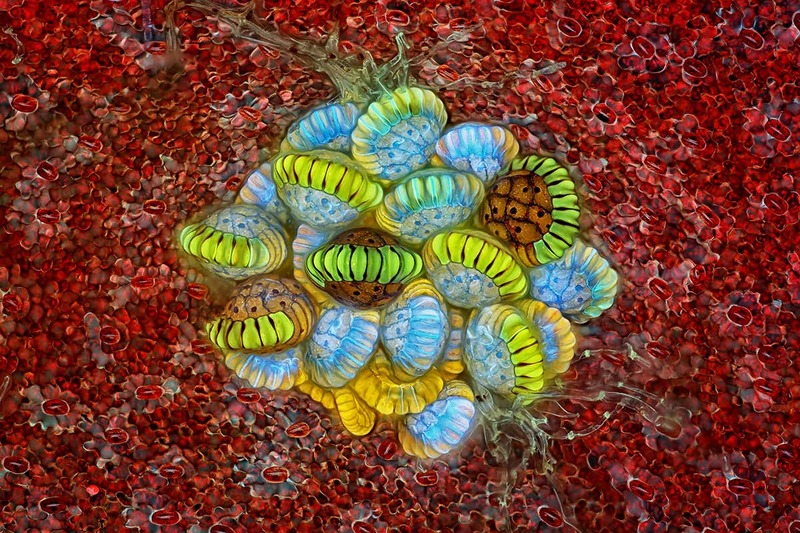 Rogelio Moreno from Panama won second prize for capturing the spore-containing structures of a fern (above). He used a technique called autoflorescence, in which ultraviolet light is used to pick out individual structures. Spores develop within a sporangium, and Moreno has successfully distinguished a group of these containers from the clustered structure called the sorus. Sporangiums at different stages of development show up in different colours. 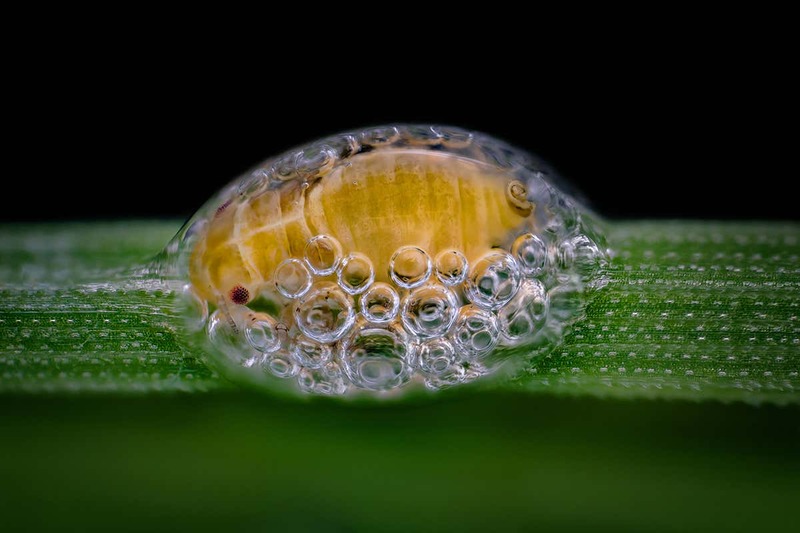 Saulius Gugis from the USA photographed this spittle-bug in the process of making its “bubble-house”. The foamy structure helps the insect hide from predators, insulate itself and stay moist. The photograph won third prize. Other highlights from the prize include a portrayal of the first stirrings of arachnid life by Tessa Montague at Harvard University. 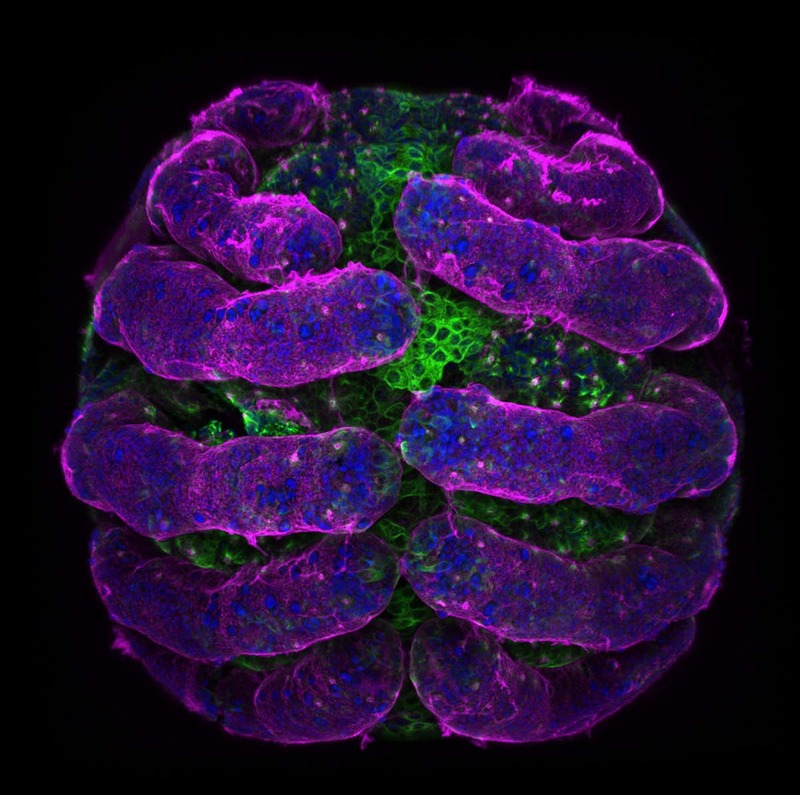 The surface of this spider embryo (Parasteatoda tepidariorum) is picked out in pink. The cell nuclei are blue and other cell structures are green. Looking for all the world like an extra from Luc Besson’s sci-fi film The Fifth Element, this magnificent mango seed weevil (Sternochetus mangiferae) earned Pia Scanlon, a researcher for the Government of Western Australia, a place among the finalists. The Canadian photographer and artist Edward Burtynsky took this photograph for The Anthropocene Project, a collaborative chronicle of geologically significant human activity such as extraction, urbanisation and deforestation. Works from the project are on display at the Art Gallery of Ontario and the National Gallery of Canada, while this image and other photographs feature in Burtynsky’s exhibition The Human Signature, at London’s Flowers Gallery, to 24 November. This September also saw the release of a documentary film, Anthropocene: The human epoch, and a book of colour photographs by Burtynsky, which includes new writing from author and poet Margaret Atwood. 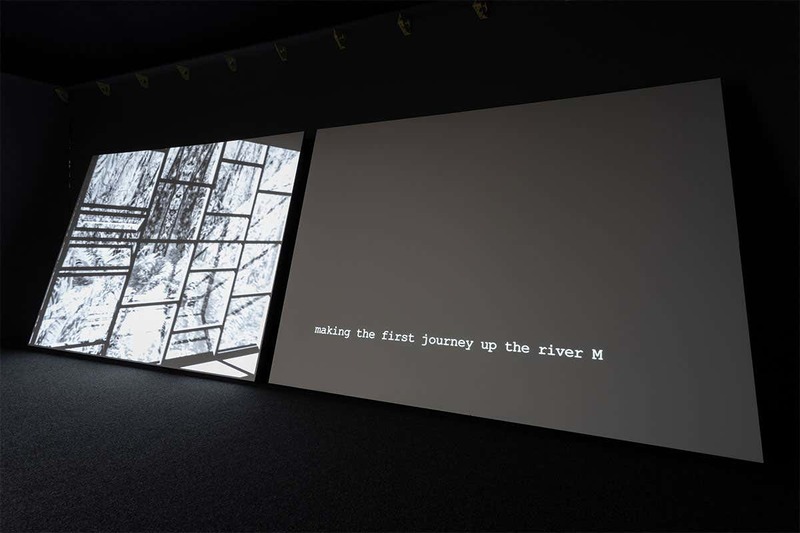 Through publications, films and immersive media, Burtynksy and his Anthropocene Project collaborators – filmmakers Jennifer Baichwal and Nicholas de Pencier – convey the unsettling visual reality of resource depletion and extinction: how our planet’s surface is being scarred, ground and shovelled into abstract, almost painterly forms. The effects of mining, in particular, are irreversible. While animal burrows reach a few metres at most, humans carve out networks that can descend several kilometres, below the reach of erosion. They are likely to survive, at least in trace form, for millions or even billions of years. There is an eerie poetry to this: burrows found in 500-million-year-old sediment tipped off geologists to the massive diversification of animal forms known as the Cambrian explosion. Will our own gargantuan earthworks commemorate more than just a mass extinction event? One can taste the boosterism in the air at London’s Science Museum as it introduces its two-gallery exhibition, Illuminating India. There is a cafe serving excellent Indian street food. Someone next to me used the word “Commonwealth” without irony. Would there have been such a spirit without Brexit? Probably not: this is a show about the genius of another country that very much wants to project Britain’s own global aspirations. Any historian of Anglo-British relations will give a sardonic smile at this. When you visit (and you should), try to look around the smaller, artefacts-driven gallery first. This room tells the stories of Indian science – stories plural because there can never be one, linear account of how such dissimilar and contesting cultures struggled and more or less succeeded in understanding and exploiting a space of such extraordinary complexity. Naturally, since India has a past to boast of, pride of place goes to its indigenous cultures. It was the Indus valley civilisation, after all, whose peoples fashioned standardised weights around 4000 years ago: items that indicate high levels of arithmetical literacy, communication and trade. And there are reconstructions of Ayurvedic surgical instruments described in records dating back to around 500 BC. Also on show is a 1800-year-old document containing the first example of the use of zero. Wonderfully, radiocarbon dating pushed the document’s age back by 500 years just before the exhibition opened. It is a measure of the wisdom of the curators that such an illustrious past isn’t allowed to overshadow India’s more recent achievements. For example, Jagadish Chandra Bose’s early-20th-century crescograph, designed to observe plant growth at a magnification of 10,000 times, reminds us why he is often called the father of modern Indian science. Another winning object is Chandrasekhara Raman’s spectrometer. Raman was the first Indian to win a Nobel prize, for physics, in 1930. And what of that other great empire far to the north? Well, there is a map of George Everest’s career-defining Great Trigonometrical Survey of India – the teamwork of 70 years distilled on a single, meticulously drawn map. 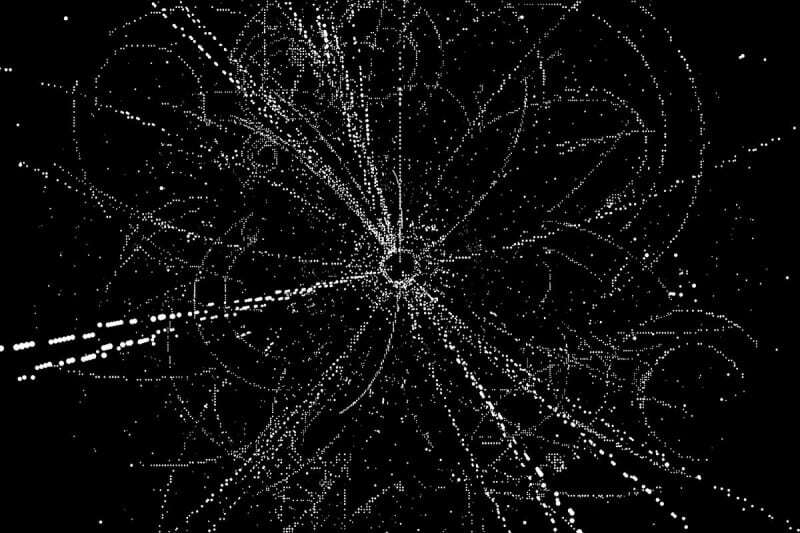 And nearby are details of a recent collaboration between Surrey Satellite Technology in the UK and the Indian Space Research Organisation on the Earth-surveying NovaSAR satellite. Some of the deeper, darker questions about Anglo-Indian relations are posed in the second, photographic half of the exhibition. There, the anthropometric photographs of Maurice Portman make a depressingly silly impression next to the respectful, revealing and entirely unlicentious photographs Ram Singh took of the women of his own harem: powerful political players all, who shaped the country through marriage and allied treaties. It is hard to say why the split nature of Illuminating India works as well as it does. It has something to do with the way the rooms handle political power. India’s science, from its ancient stepwells that gathered monsoon waters to the bureaucratic and algorithmic marvel that is today’s tiffin tin-based lunch delivery system, has been driven by the complex needs of a massive population making a living. Similarly, its doing-more-with-less style of innovation is reflected in everything from the world’s cheapest artificial leg (the Jaipur leg, made of rubber, plastic and wood) to the world’s cheapest Mars-orbiting camera. Visitors to Illuminating India will leave thinking that technology may, after all, be making the world a better place, and that what people do is ultimately more influential than who they are. THE past can’t be re-experienced. It leaves only traces and artefacts, which we constantly shuffle, sort, discard and recover, in an obsessive effort to recall where we have come from. In this New Scientist review (4 April 2015), I got to write about how we invent the past. Highlights include a crying Indian and the biggest nuclear disaster you’ve never heard of.